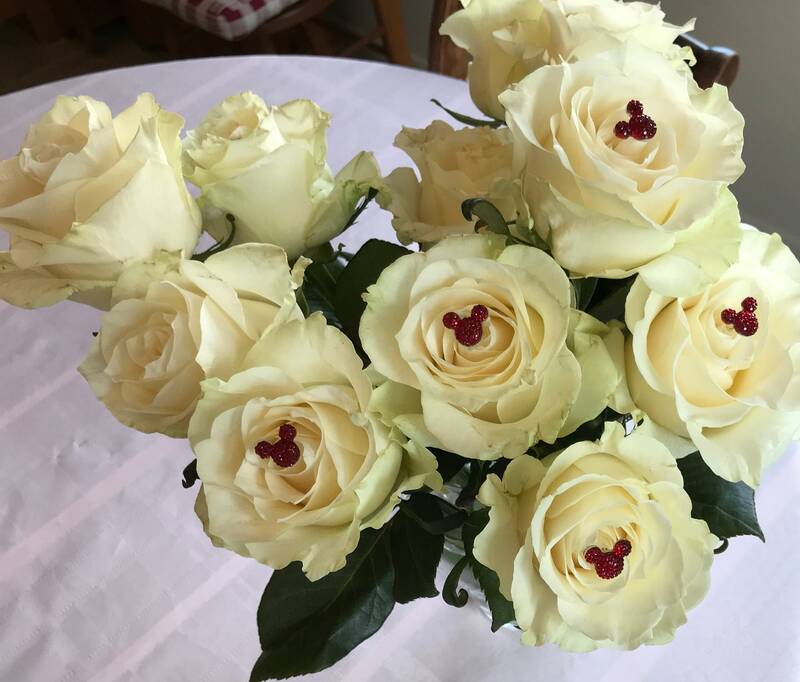 Choose your own colors. 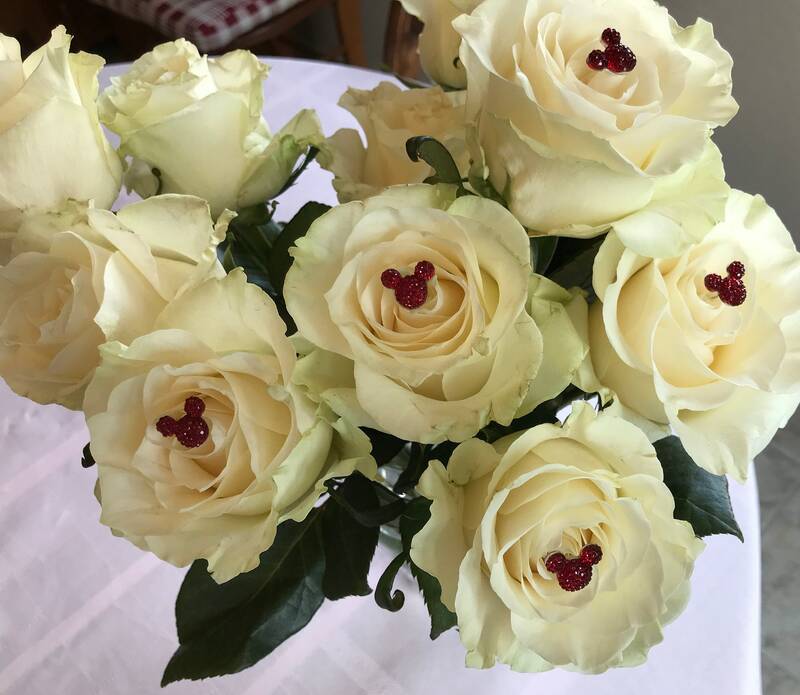 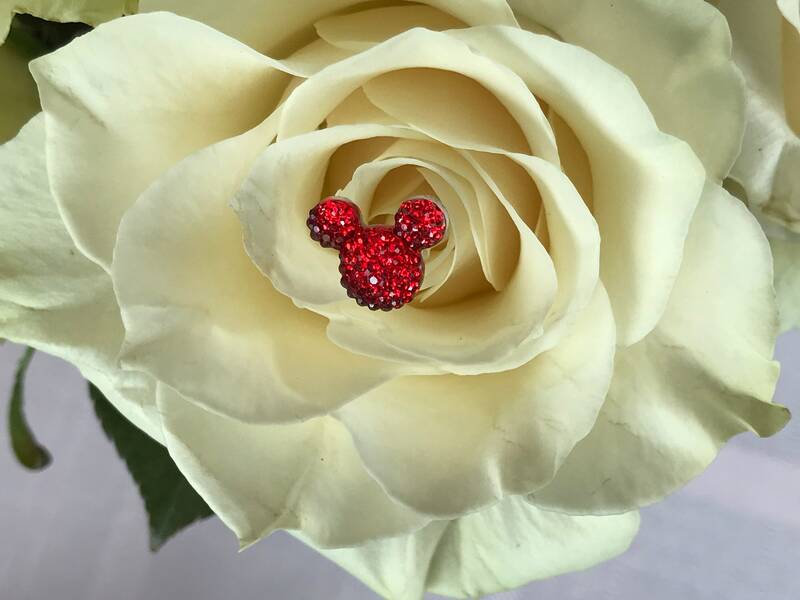 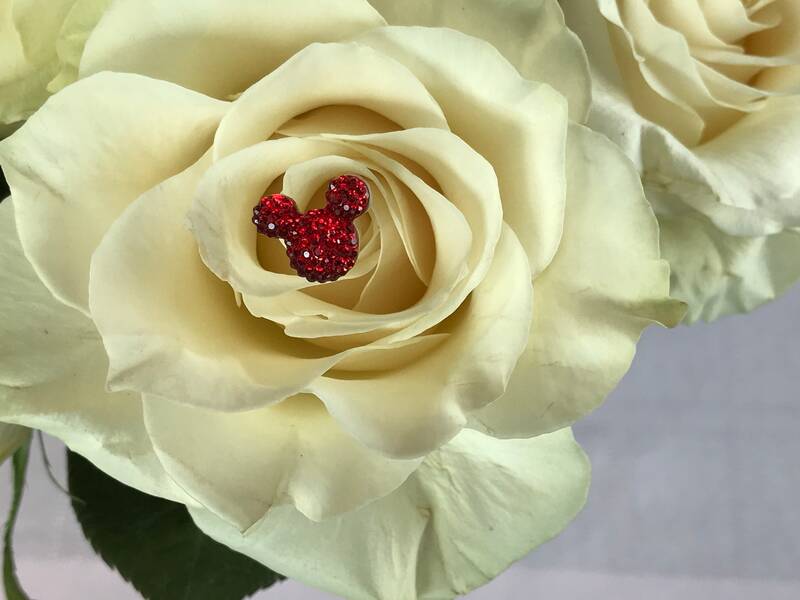 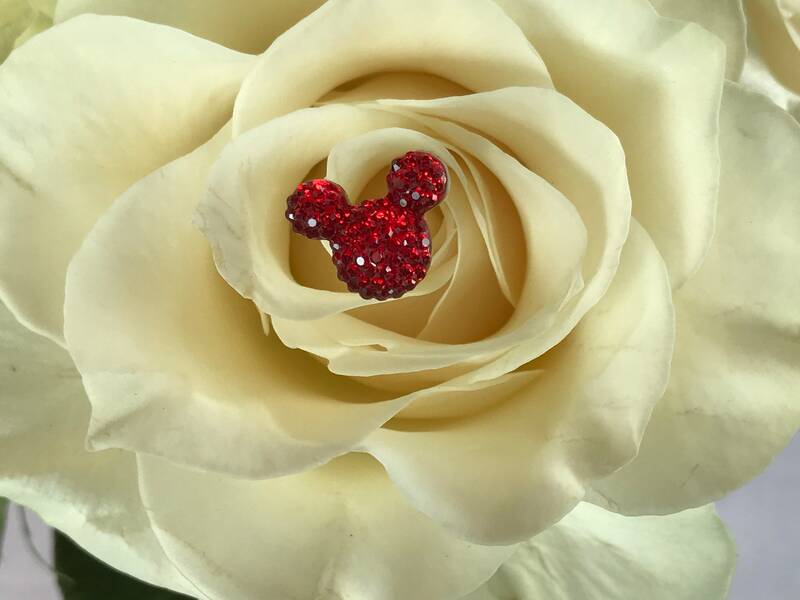 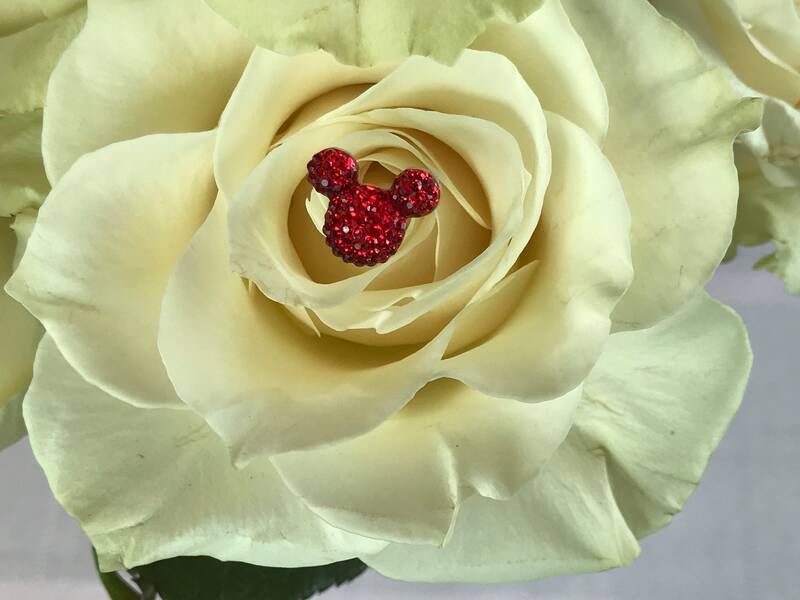 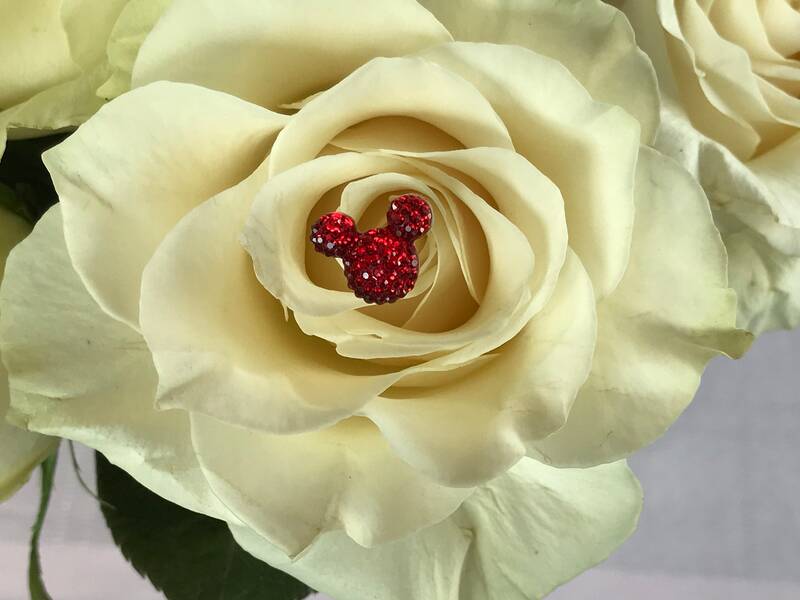 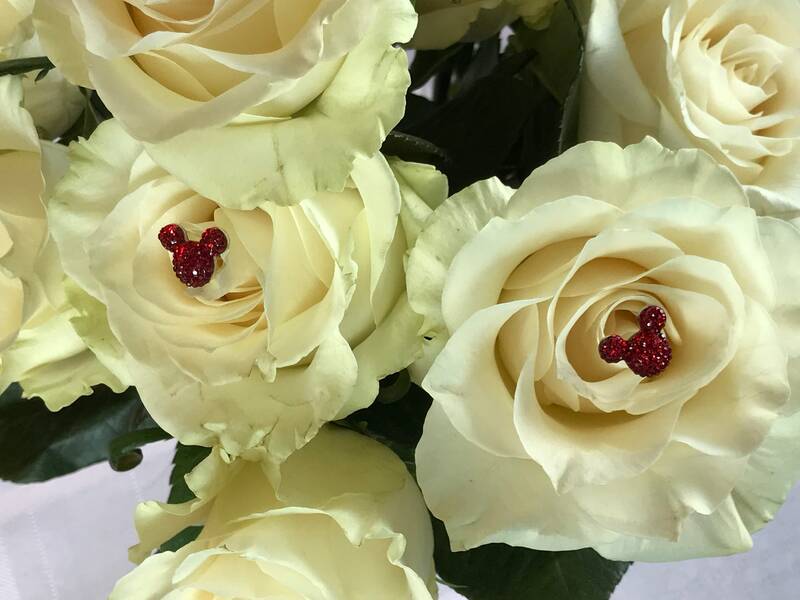 Pictured in the white roses is Mickey Mouse Classic Red. 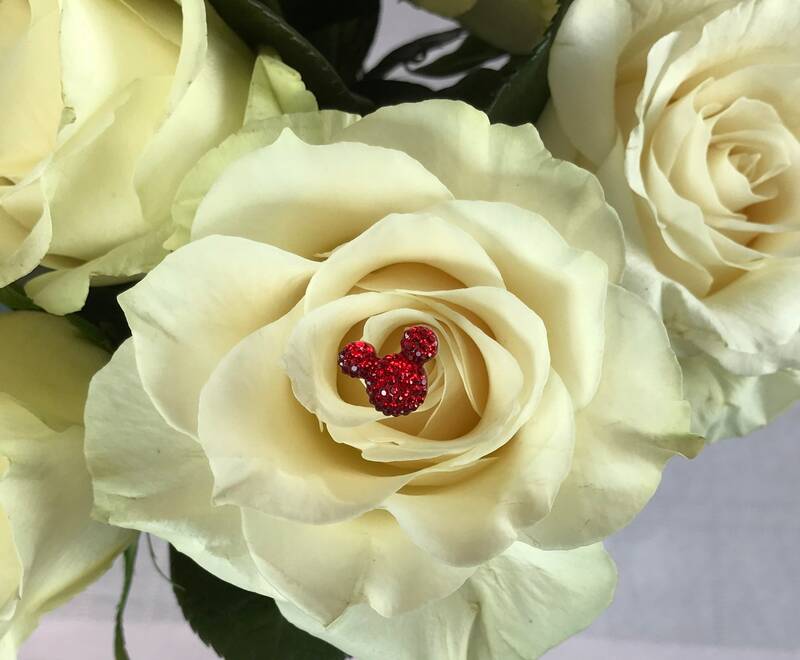 You may also choose a color from the color wheel which matches the drop down menu.